Which Mascara And Eyeliner Is The Best For Blue Eyes? Blue eyes are a great gift of nature to the humanity. They attract everybody’s attention with their beauty and depth. Women with blue eyes are very charming and cute. They will not face any difficulties in case they need to attract men’s attention. Speaking about make-up, you need to be very careful especially if you have blue eyes. You should try to do your best in order to stress their beauty and make an accent on the depth of your eyes. Thanks God, there is lots of cosmetics that will help you to create the best make-up ever. Some brands produce make-up especially for women with blue eyes. It includes mascara and eye pencil. There are lots of useful tips which will help you to create the best makeup. You can use different methods which were provided by leading experts. They will help you to stress the beauty of your eyes. 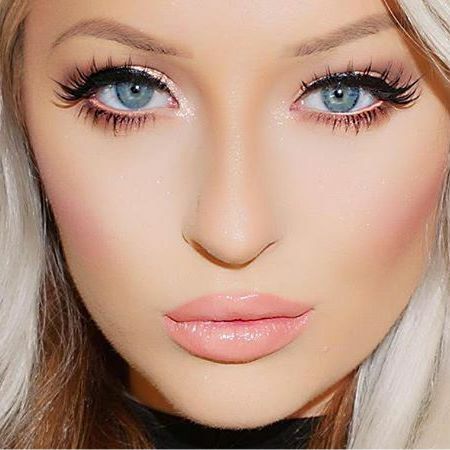 However in case you want to make your make-up as beautiful as possible, you will also need to take into consideration the color of your hair as well as skin tan. Always keep in mind that every make-up should be appropriate in accordance with time of the day as well as place. If we speak about mascara for eyelashes, we should divide blonds and brunettes into two groups. 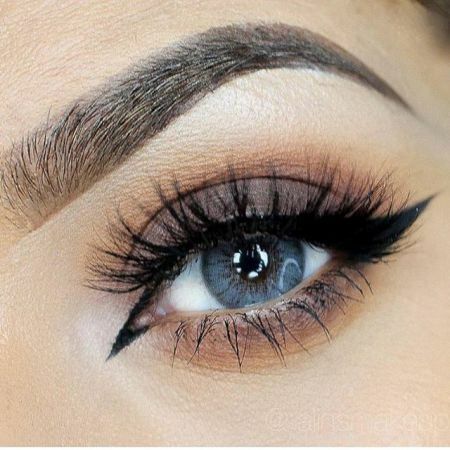 Women with dark hair should use dark colors and black mascara. This variant is inappropriate for blonds as it will make them look vulgar. They need to use grey and brown mascara. You should also try a new one that is already on stock. L’Oreal Volume Million Lashes Luminizer Blue Eyes is the best way to stress blue eyes. After you use it you will notice a light blue and purple effect when your eyelashes will become dark-black. It will be the best bet for brunettes and women with red hair. Max Factor Eye Brightening Tonal Black Volumising Mascara Black Sapphire doesn’t have bright colors. It is very soft grey-black mascara with small tinsels. They make your eyes look very soft and gentle. Oriflame Wonder Lash Eye Enhancer Mascara Purple Shimmer is the best choice for blue, green and grey eyes. It was created using modern technologies. The mascara contains a combination of purl pigments which create a light attraction effect. If you want to make your make-up even more unusual and interesting, you can also use such colors as vinous, eggplant and inky. You will get a mysterious and at the same time charming look. A lot of brunettes with blue eyes use black lines which create a good combination together with dark hair. You need to focus on the overall color and shade of your make-up while choosing an eyeliner. If you want to stress the color of your eyes, you need to use plum, bronze and dark-violet pencils. 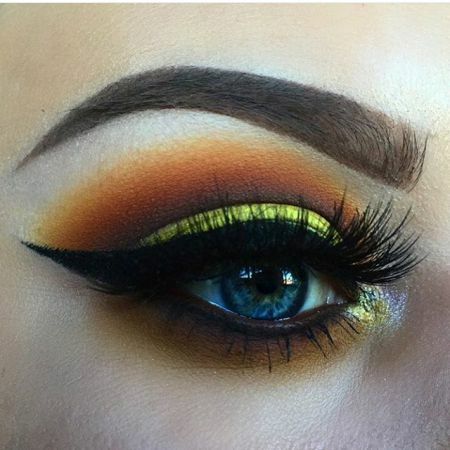 However you should also consider the color of your hair before using any of these eye pencils. Chocolate or wine eyeliner will be the best choice for women with red hair. It will make it possible for them to make their look very sensitive and attractive. If you have a brown hair you should pay attention to bronze eyeliner. You should avoid using brown colors for your make-up in case you have blue eyes. However you should not be afraid to make experiments with different colors. Every person is unique. Who knows, maybe you’ll manage to create absolutely new style. 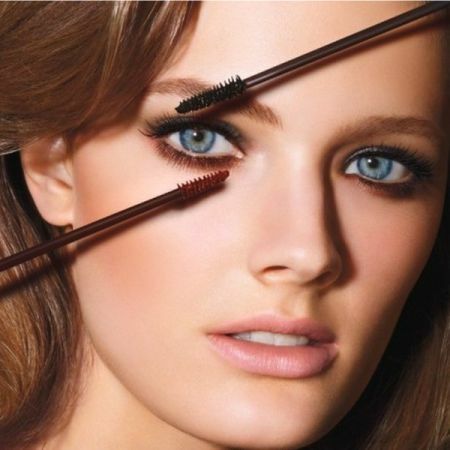 Like the article «Which Mascara And Eyeliner Is The Best For Blue Eyes?»? Share it with friends!